In this 3 part class, rich with NEW possibilities, you’ll learn new ways of having and being with your body in these liminal times. What used to be only possible for a select few Shamans, Medicine Women/Men, and other initiates, is now becoming more accessible to you, if you choose it. What if the times of torturing your body with diets and exercise programs in the attempt to get your body into the ‘perfect’ standard, is over? If you’re more interested in having peace and ease with your body, rather than achieving a 26” waist, check this out! In addition, if you’re also pretty sure that having a body could be way more fun, that dis-ease shouldn’t have to stick around, and that you could have way more energy, yet you’re not living it, sign up for this class. To be sure, we’re here to show you a whole new beginning with your body is now within reach… and we’re here to help you find your way through! A few delicious possibilities to ponder… and what else do you know? Join us for this Matrix Busters Mini Series to kiss awake a whole new beginning with your body! If being with your body is less than the peace-filled experience you dream of, are you ready for a whole new beginning with your body? * as long as this program is in existence, and you’ve taken it once, you can retake the program at ANY TIME we are offering this class, at no additional cost to you! 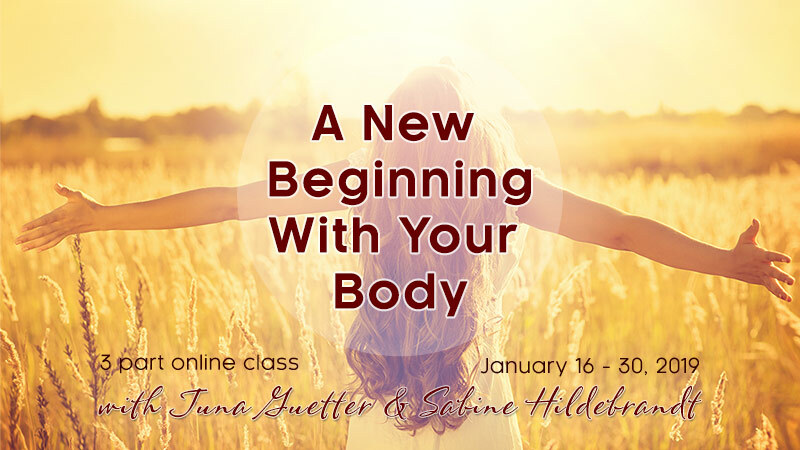 A New Beginning With Your Body is one of our signature courses and through repetition, you will be able to master the tools, the craft and the art of your knowing with your body! If you live in a country where the Province/State or Postal Code/Zip does not exist, please just use n/a. Thank you! Ready to kiss awake what you always knew was possible with your body?